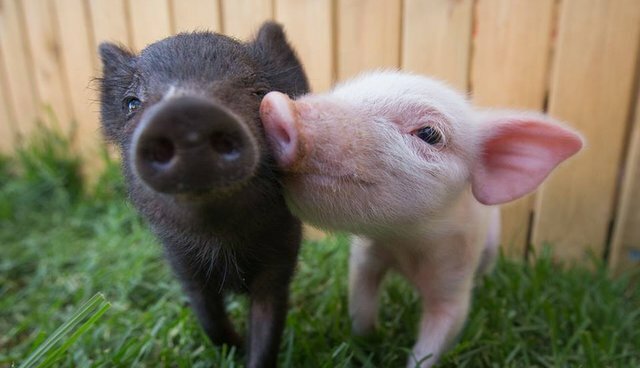 These two little piglets are forming the most adorable friendship, complete with joint naps, training sessions and romps around the fields. 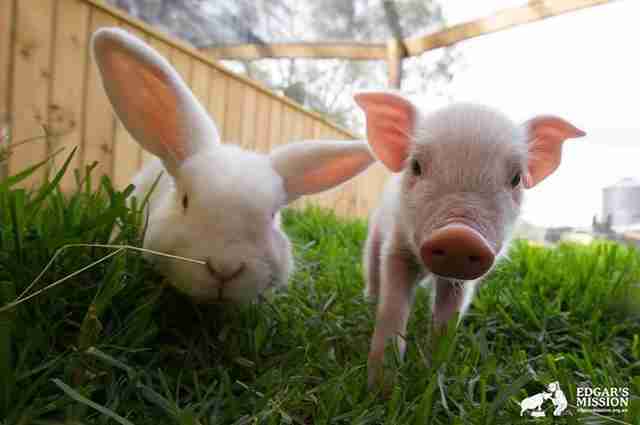 Penelope Sue and Ballet Bob were both rescued from life as farm animals by Australian farm sanctuary Edgar's Mission. 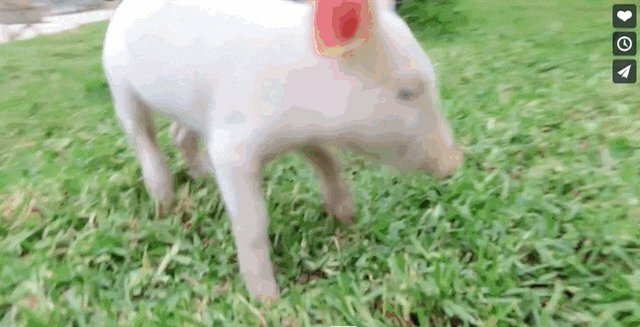 Penelope Sue, the pink piglet, was born just a few weeks after her mother, Piggy Sue, was rescued. A commercially bred sow, Piggy Sue was found homeless and emaciated, covered in scars and sores. 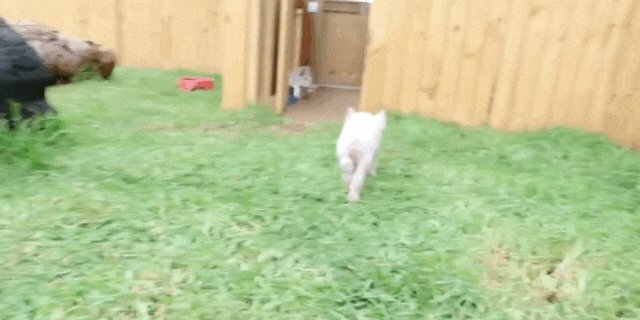 Penelope Sue was the runt of her litter, and the tiny piglet quickly became a farm favorite. 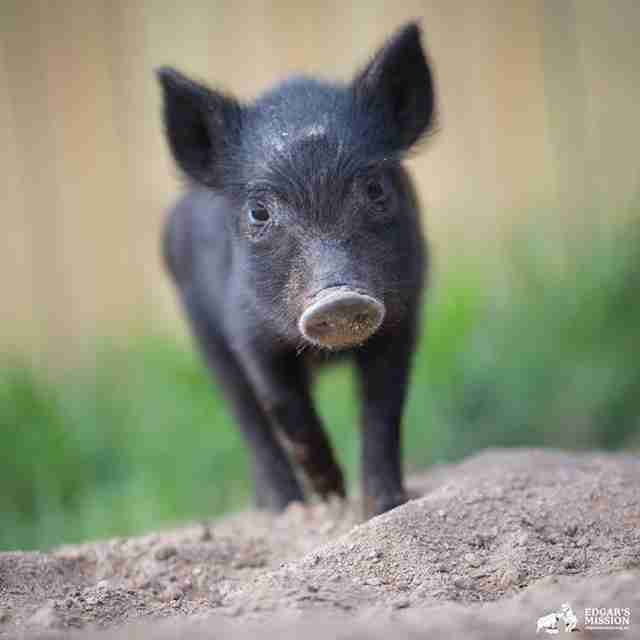 Ballet Bob, a small black piglet, was rescued shortly after, bearing scars from an apparent attack. 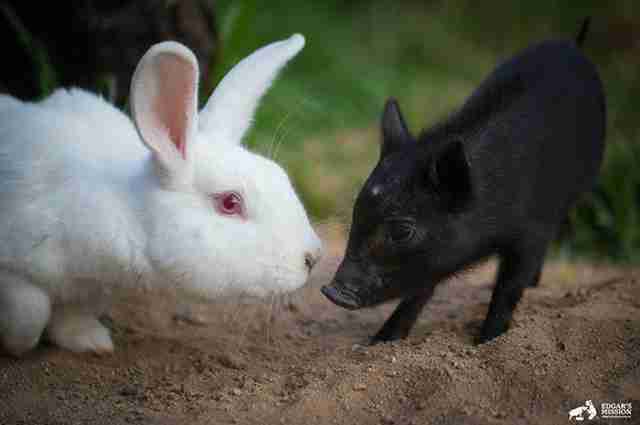 One introduced, she and Penelope Sue became the best of friends. 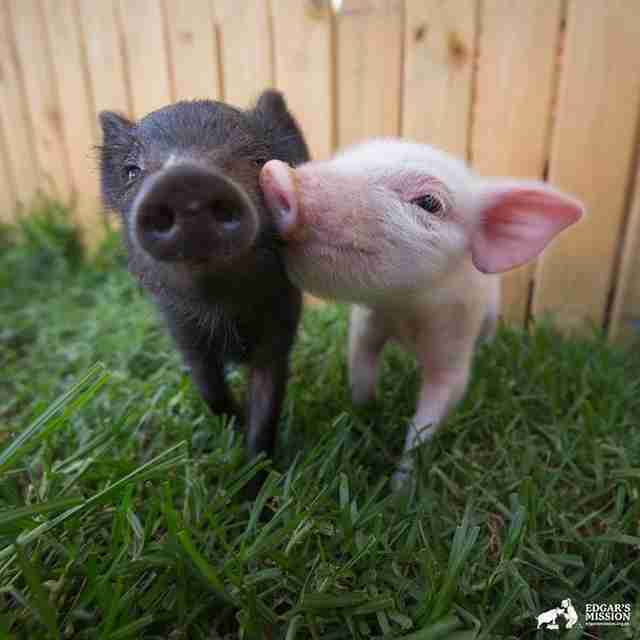 Now the inseparable young pigs are enjoying the prospect of a long, happy life at the sanctuary. 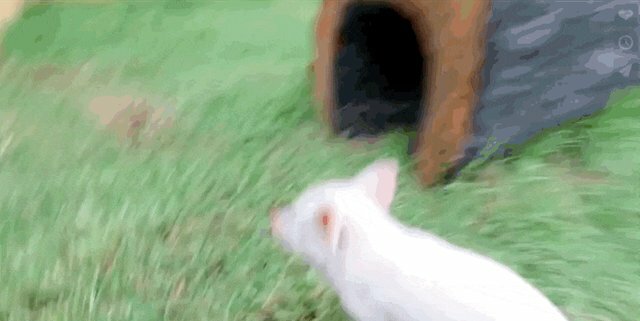 Photos and videos of the two girls show them playing with all the other rescued animals, learning to "sit" and generally getting into mischief. The sanctuary recently released a video that shows the pair running madcap around the grounds. They even take naps together in a tiny little basket. 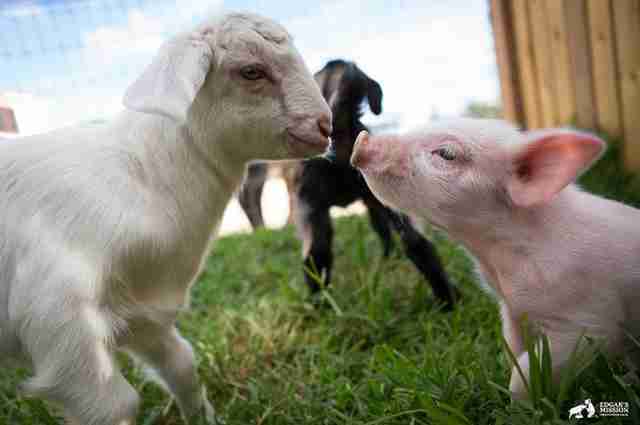 Fortunately, these two will have a happier life than their parents. But most farmed pigs won't, and Edgar's Mission is currently fundraising to build a "Piggy Paradise" for all their porcine residents. If you'd like to donate to their efforts, you can visit their fundraising page. A donation of $89 will secure you a pre-order of their limited-edition pig photo book. To donate to the care and upkeep of their animals, you can make a donation through their website.